A man accused of driving drunk and killing a woman in a Pacific Beach crosswalk will stand trial for second-degree murder. A judge ordered news media not to show the face of Alan Mabrey, 45. According to prosecutors, Mabrey ran down Emily Dowdy, 24, back inb February and then fled the scene to a nearby fast-food restaurant. Prosecutors said Mabrey's blood alcohol level measured nearly three times the legal limit some 90 minutes after the crash. 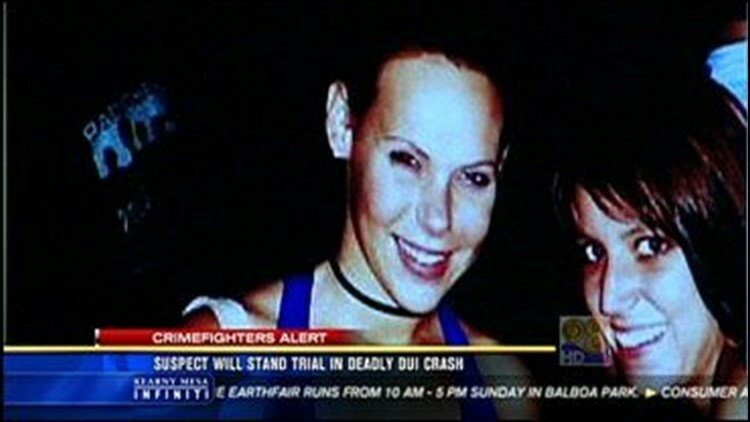 Mabrey has six prior DUI convictions in other states.